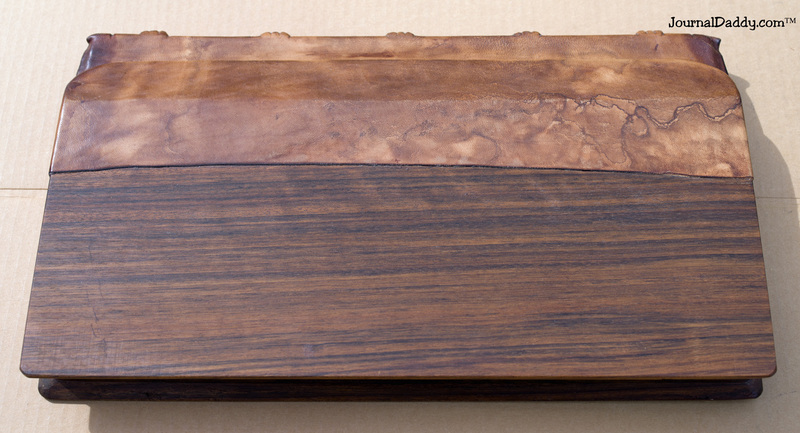 Cover made from solid walnut and leather. 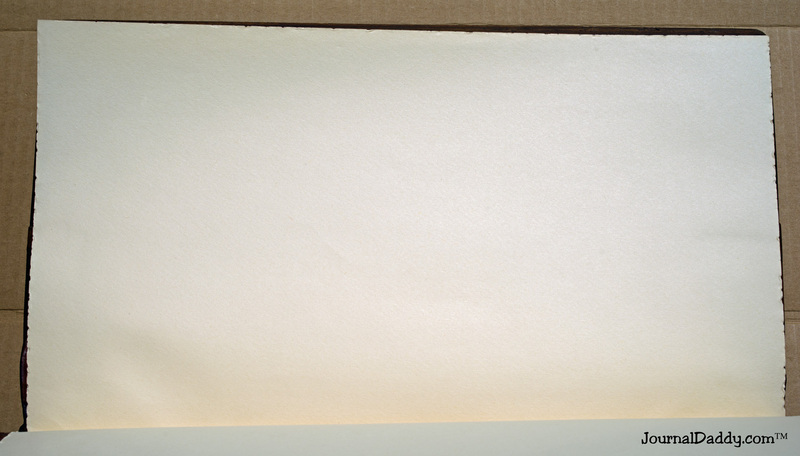 Plain ivory deckled edge pages (no lines). The wood is not plywood, particleboard, veneer or stain. 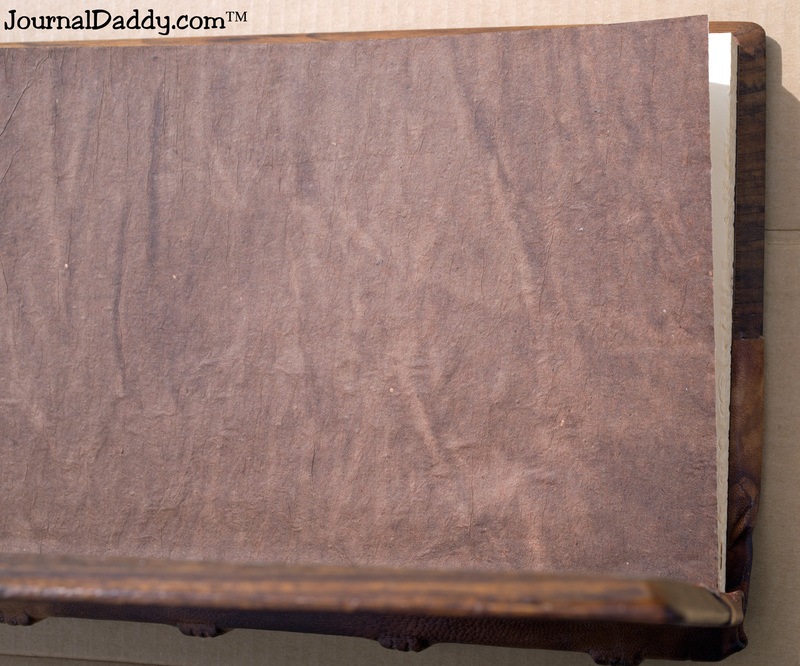 The covers are solid walnut boards. 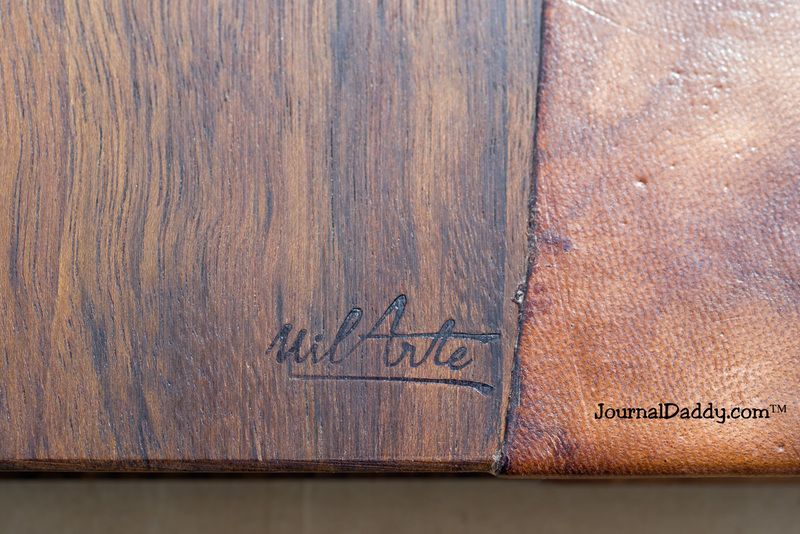 The genuine brown leather spine goes around and over the walnut wood boards about 3-1/4 inches on both covers. 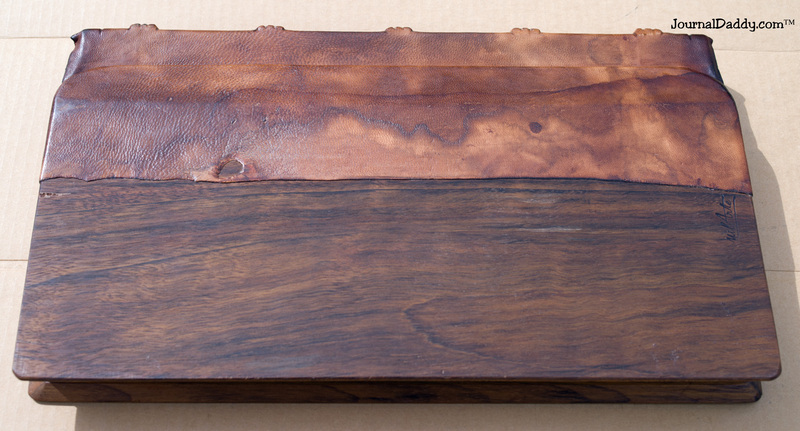 There are 5 raised bands on the leather spine. I think the book is maybe 50 years old and possibly older and was purchased in Arkansas. Click images for very large 1500 pixels wide enlargements. Do you know the maker Uil Arte? I would like to know about this person, maker or publisher. Please let us know by emailing us or writing or phone. What do you think the letters are in the signature? Uil Arte or Mil Arte? Let us know what you think.